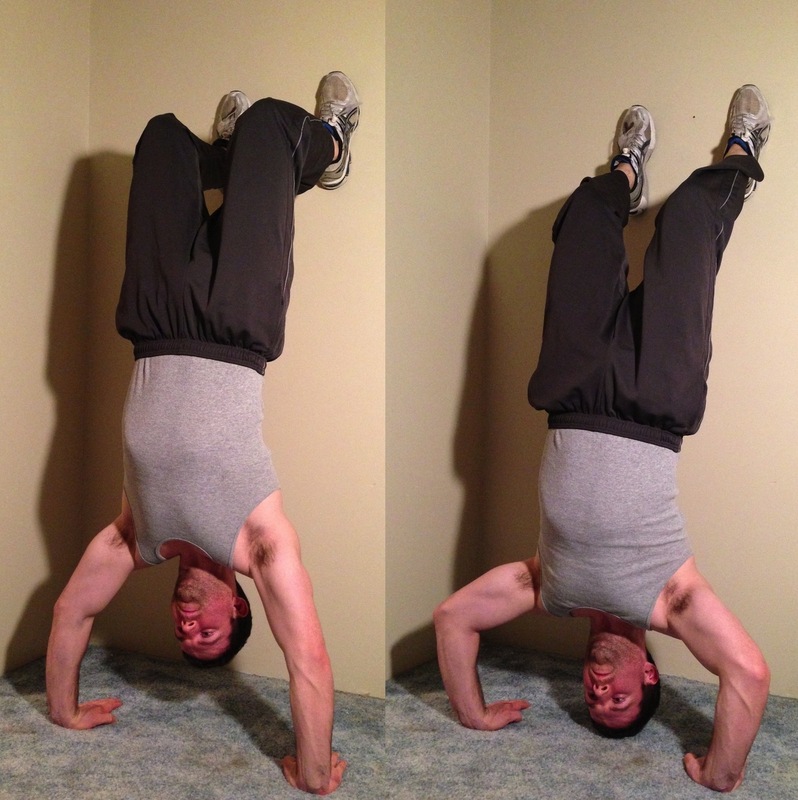 If you are looking to build strong impressive shoulders then you need to include handstand push ups. Handstand pushups work your shoulders, triceps, lats and core muscles as well as all of the stabilizing muscles in your arms. 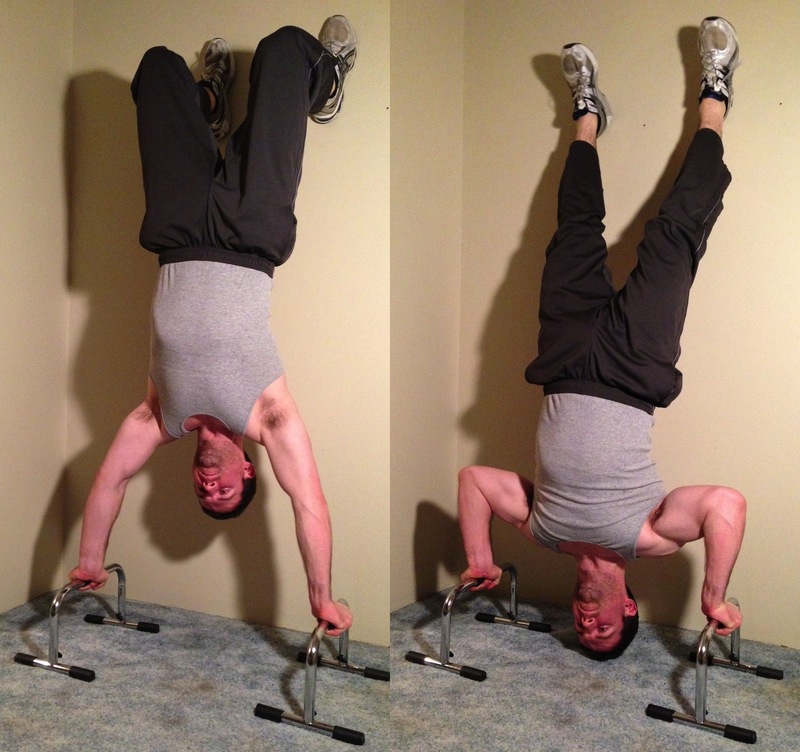 When I started doing handstand push ups my shoulders started looking noticeably better. Although handstand push ups are a great exercise, they are very difficult for all but the most physically fit individuals, so it is usually necessary for you to work up to them. To build shoulder strength, start out with the beginner handstand push up. Put your feet on a chair or bench and walk your hands back until your hands are as close to your feet as possible, then do the push up. This is easier because you don’t have as much of your weight to support and it is easier from a balancing perspective. Once you can do 15 or so of the beginner handstand push ups you are probably ready to move on to a real hand stand push up. Start by standing around 4 feet from the wall while facing the wall. Lean forward into a push up position with your hands around 8 inches from the wall. Kick your feet up into the air until you are leaning against the wall. Then slowly lower yourself down and push yourself back up. The basic handstand push up is a great exercise but it is limited by the fact that your head gets in the way so you have limited range of motion. This problem is solved by using a tall set of push up handles. I use a set that is an about 6 inches high and the significantly increase the difficulty. You can see in the full range of motion handstand push up I am able to get much lower making the exercise significantly more difficult. If you are looking for an even greater challenge, you can try adding a weight vest or try doing handstand push ups that are not wall supported. While I think it is incredibly impressive to be able to do a non-wall supported handstand push up, it will not be as useful for building muscle. You will be spending more of you focus on balancing then you do and the actual pushing motion. Wouldn’t the weight vest fall off? Also, don’t quote me on this, but I believe that when you’re working on things that require balance, it strengthens the tiny muscles that help you balance. I was told that about ankles, but maybe it applies to shoulders, too? That depends on the weight vest. My 80 pound weight vest is not very tight, so it would fall off, but if you bought a high quality 20 to 40 lb weight vest (especially the non-variable type), they would stay on because they are much tighter. I am considering buying a second weight vest especially for handstand push ups. You are correct, weight training that requires balance strengthen the stabilizing muscles. just tried them haha could only lower myself down like an inch! Keep at it, when you get it you will be worth it. 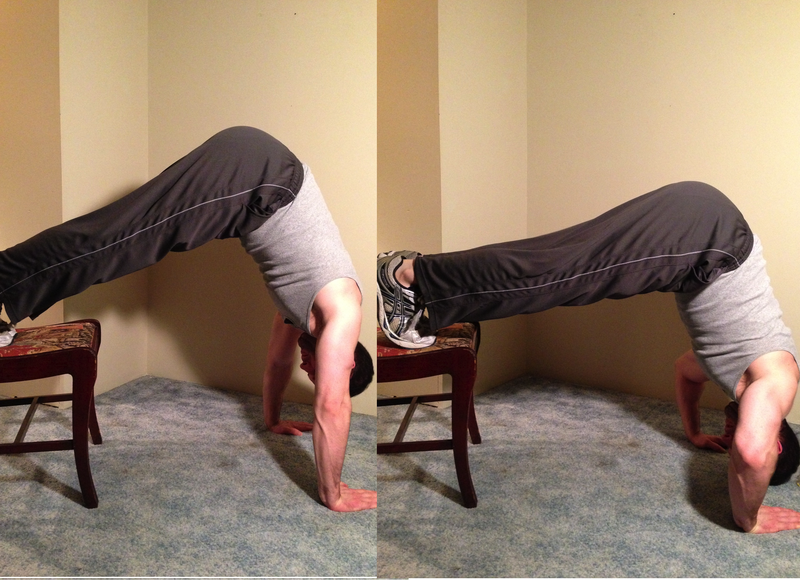 If you have the determination to run a marathon then you can work up to a handstand push up. When you are in the gym, dumbbell should press will help you strengthen the same muscles.